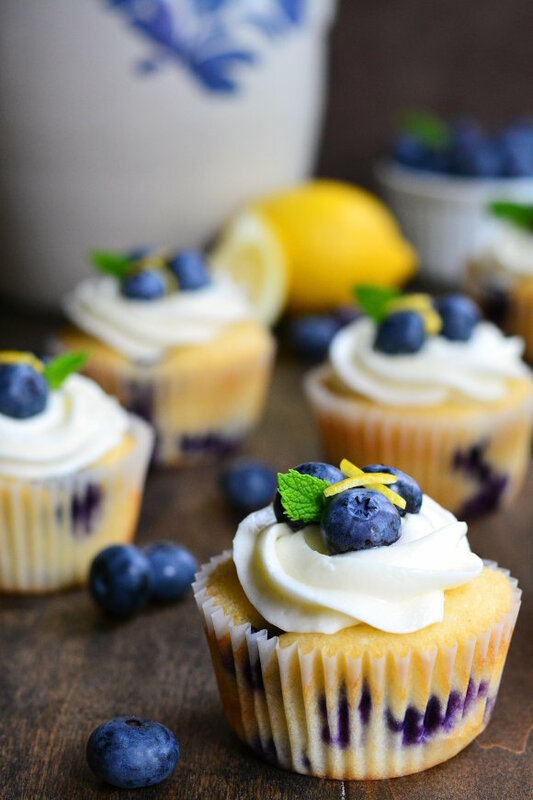 I’ve never been a huge fan of lemon in baked goods but I think my taste buds are starting to like it after devouring these Lemon Blueberry Cupcakes. There is just enough lemon juice and zest to get that refreshing lemon zing but not too over powering especially for those of us how are just warming up to the whole lemon thang. Sometimes people (including me) can get carried away with frosting and create a cupcake that has a 2:1 ration of frosting to cake. While this may look really cool, it’s nearly impossible get your mouth around without looking like a monster. Plus, it’s not balanced and just too sweet. I made sure that these blue babies had the right amount of lemon cream cheese frosting. I also wanted to be able to see a little bit of the top of the cupcake so a little rosette was perfect! I then topped them with a few fresh blueberries and lemon peel to add color and clearly show what flavor it is. The mint leaf was just a fun garnish to add a pop of color but totally optional. Mmmm. 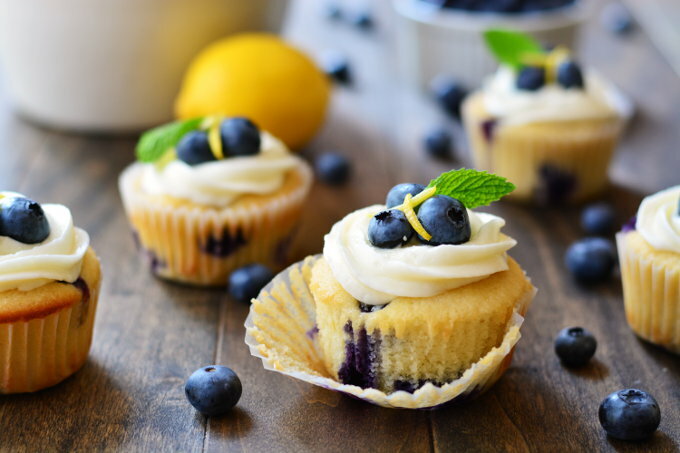 I just want to take a bite after staring at that juicy cooked blueberry surrounded by a sweet, tender, and moist lemon cake. What are you waking for?! 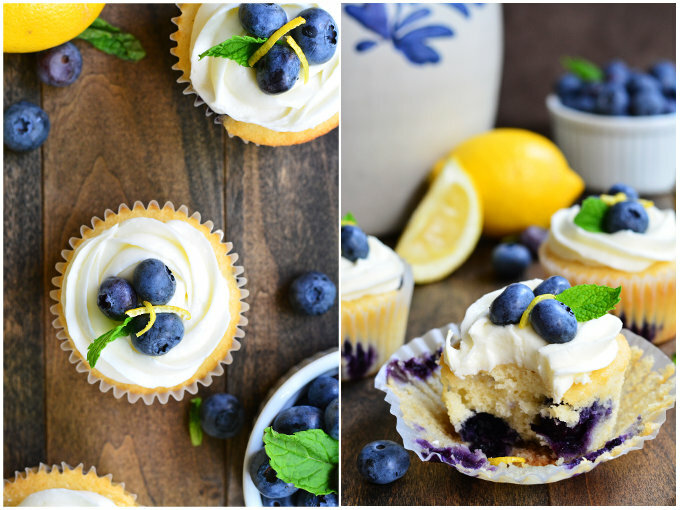 Go make a batch of these delightfully refreshing lemon blueberry cupcakes! Preheat oven to 350 degrees F and line muffin tin with 18 paper cupcake liners. In a medium mixing bowl, mix together flour, baking soda, baking powder, and salt. Set aside. 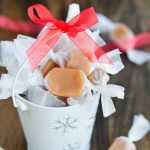 With an electric mixer, beat the butter and sugar together until fluffy. Add the milk, sour cream, eggs, vanilla, and zest and beat until thoroughly combined. Mix the dry ingredients in a little at a time until just combined. In a small mixing bowl, combine 1 1/4 cup blueberries with 2 teaspoons flour until all are coated. Gently fold the blueberries into the batter. Spoon the batter into the 18 cupcake liners (about 3/4 full). Bake for 18-20 minutes or until a toothpick comes out clean. Attach the paddle attachment to standing mixer (an electric hand mixer will work too). Beat butter and cream cheese together until smooth. Add the lemon juice, zest, salt, and beat in the powdered sugar a little at a time. Keep mixing until light and fluffy. 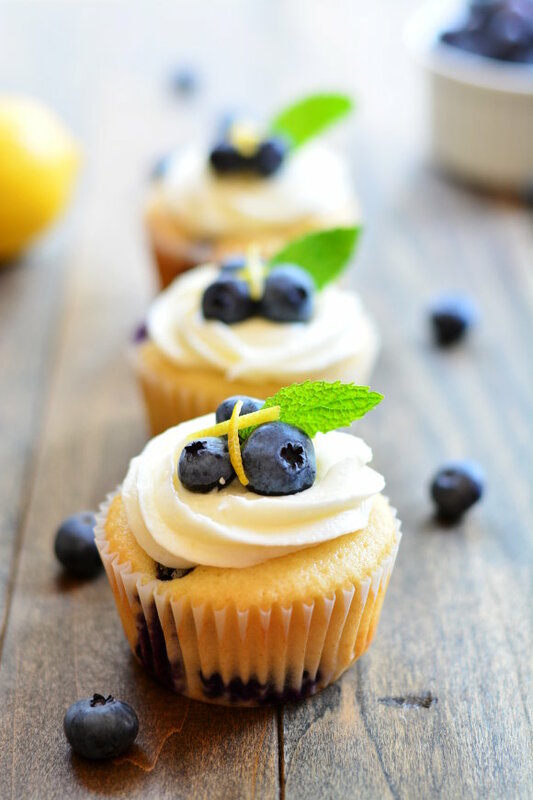 Pipe frosting onto cooled cupcakes and then top with blueberries, lemon peel, and a mint leaf. Store in an airtight container at room temperature up to two days or in the fridge for up to four days. *To get eggs to room temperature quickly, just place the eggs (still in the shells) in a bowl of warm water for 5 minutes. Ummm… Lemon and blueberries? In a cupcake??? Definitely YES!!!! Love the flavor combination!!! Must be supurb!! haha! Thank you Anne! I am loving the lemon and blueberry together and can’t stop thinking of more things to make with that combo. Enjoy! 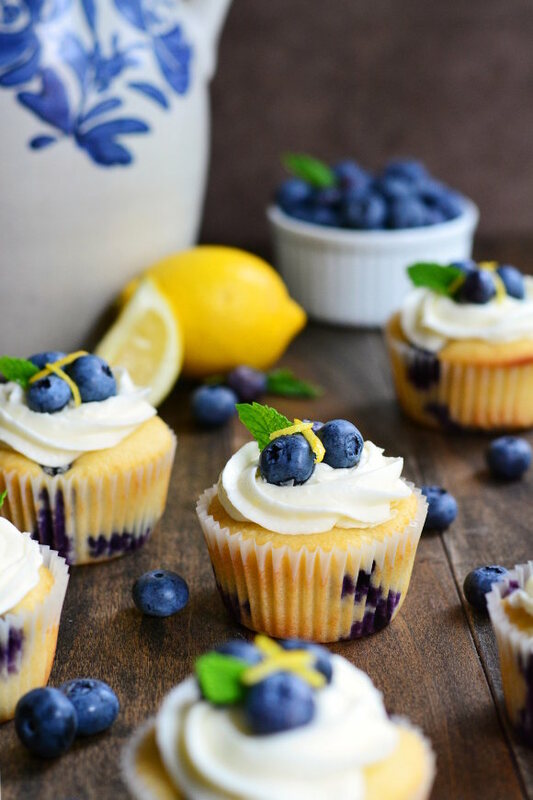 i can never go past a blueberry cupcake, these look SO delicious. definitely craving one right now! 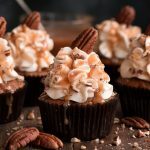 I love that you went ahead and called these cupcakes and not muffins…let’s be honest, so many “muffins” are just dessert masquerading as breakfast food!! 🙂 These look yummy! Haha! I agree Alicia! 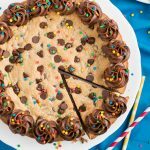 Sometimes I’m not quite sure whether to categorize some breakfast foods as dessert too… which I guess means that when we have “breakfast for dinner” we are really having dessert for dinner. These look absolutely amazing! I love lemon and blueberry combinations! 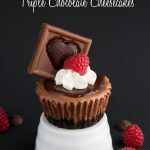 I’m looking forward to making these cupcakes and agree with everyone that the pictures are gorgeous. Can I clarify 2 things as not familiar with the following down here in Australia – how much is a ‘stick of butter’ in grams ? And is powdered sugar icing sugar? Thank you! K so I fixed the recipe to say the amount of butter in cups. 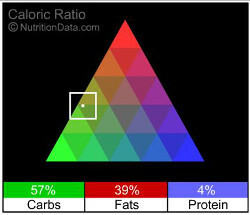 A stick of butter is 4 ounces or 113grams. And powdered sugar is the same as icing sugar also referred to as confectioner’s sugar. I hope you enjoy these! 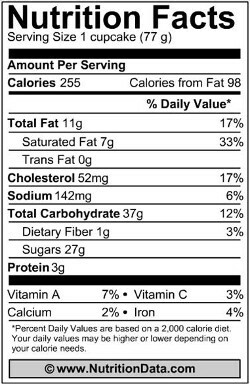 mm this sounds delicious, thanks for sharing this.. This recipe was magnificent. Light cake and a perfect richness to the frosting. I will be making this again and again. Thanking you so much for sharing!! How many lemons did you need for the zest, peel and decoration? Just 1 lemon will be enough. 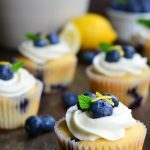 I’ve tried this recipe and really like it, but I’ve noticed that there isn’t any lemon juice in the lemon cupcake recipe … is this intentional? Yes. 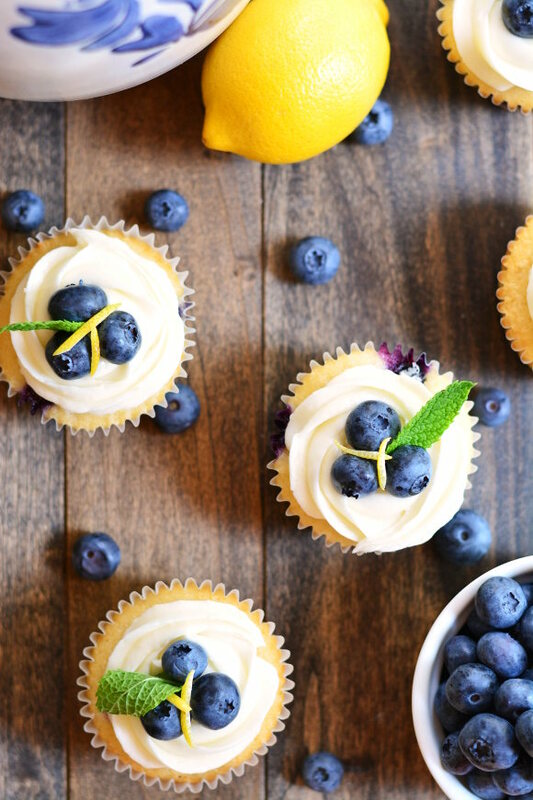 This recipe just uses lemon zest in the cupcakes. If you want a stronger lemon flavor you can add more lemon zest.